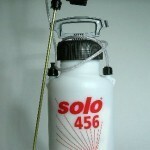 PRODUCT DESCRIPTION: This 2 Gallon Foamer comes standard with a 20 inch wand and pressure guage. 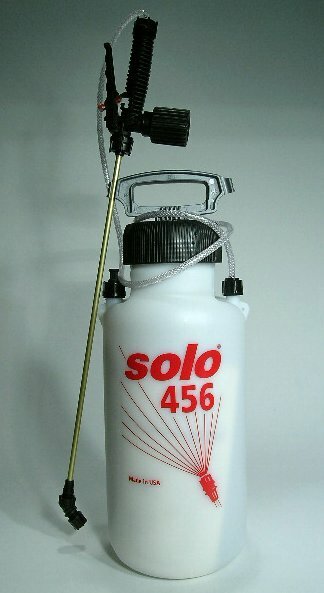 Though the tank and components are made of plastic, this foamer is quite durable. Ideal for wall void and plant/landscape tasks, it features the largest tank which means less refills during any large job. This could be important depending on the task at hand. There is one tip, a 12 inch Slab Injector, that will make it suitable for most any slab or wall treatment. You can save the cost of this option by just cutting down the 20 inch wand that comes with it but only do this if you intend on treating wall and/or slab voids only. If you expect to be using the Foamer for a multitude of uses, keep the 20 inch wand as is and get the optional SLAB INJECTOR (ITEM # 287251). This Foamer is an excellent choice for when large areas need to be treated. And since you only need 2-4 oz of FOAMING AGENT per gallon of material you want to convert to foam, its an economical way to create your own foam compared to using aerosol cans that generate foam.